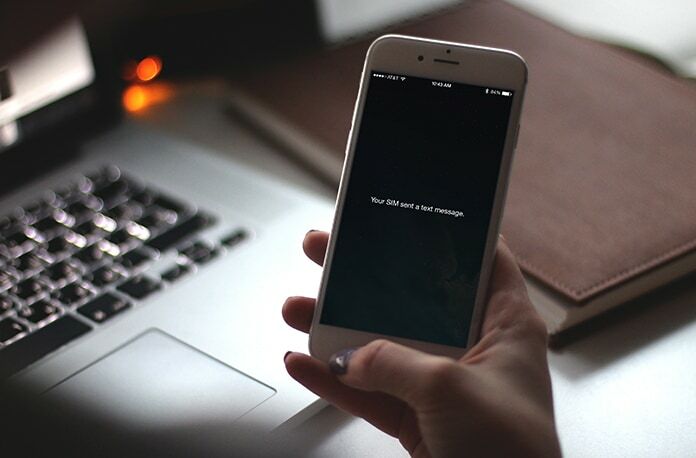 It isn’t uncommon for iPhone users to get a notification that says ‘your SIM sent a text message’. Most don’t know what this means but the truth is that there is some problem between your device and your carrier. Here, we will take a look at how to solve this issue. The thing is your SIM sent a text because it requires an update. The SIM is basically trying to contact the wireless carrier’s update server, alerting it to the fact that it needs upgrading. Go to Settings -> General -> About. If there is an update available, a pop-up will appear after 15 to 30 seconds. 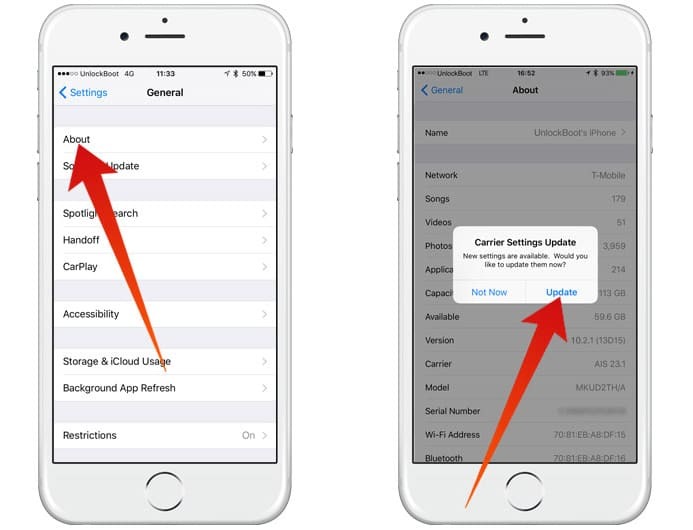 This pop-up will say ‘Carrier Settings Update’. Tap Update. If there is no pop up after let’s say 30 seconds, that means your SIM is already up to date. 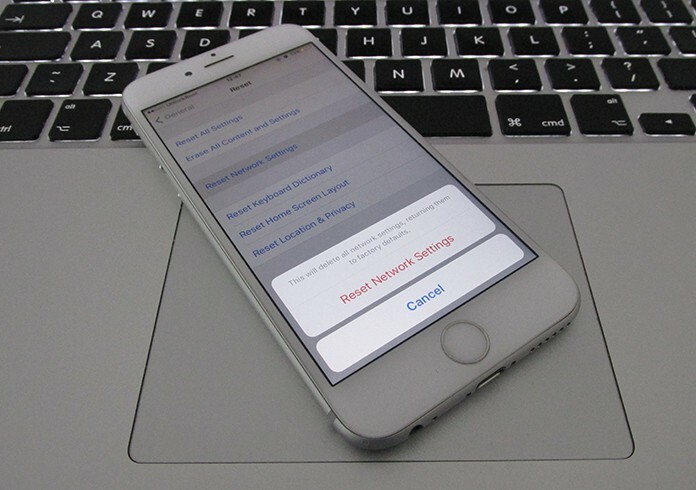 Performing this step can help because it restarts your SIM card as it were. This means that it reconnects to the wireless carrier’s network. Doing this should be easy, eject your card from the tray on the left side of the device. 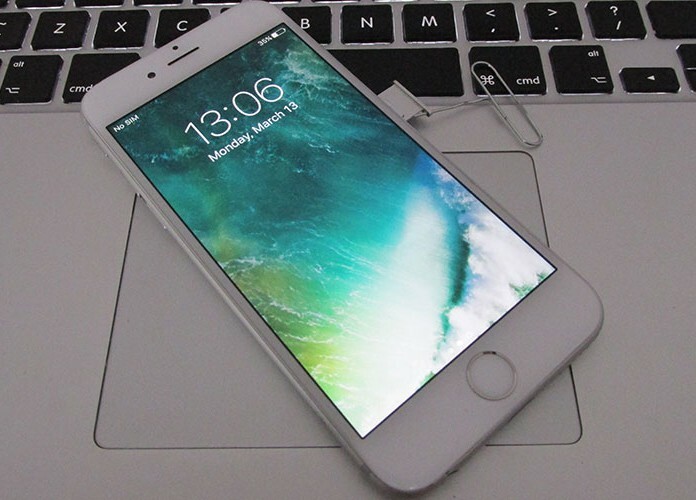 Wait for a short time interval, then re-insert and turn on your iPhone as normal. Even after the SIM settings are updated, the device doesn’t restart of its own accord. Usually devices do that on their own after an update. Since it doesn’t in this case the SIM will just keep shooting off texts even after being properly updated, which can get quite annoying. The only way to solve this is restarting your iPhone. 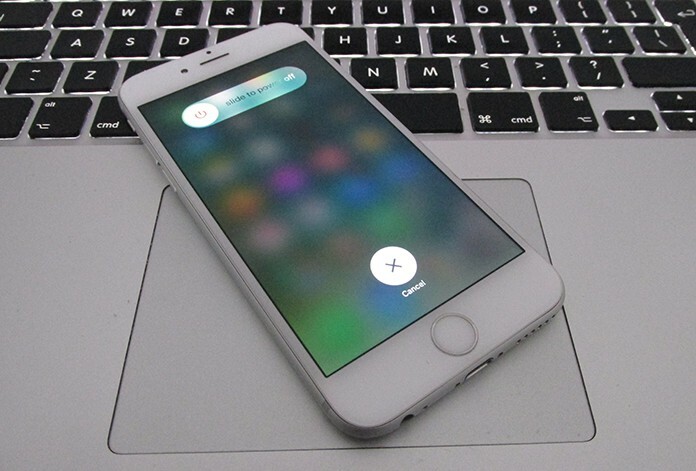 Doing so is simple, hold down the iPhone off button and slide the power button to off. Wait for a short time interval, about 30 seconds, and then turn it on again. Go to General -> Reset -> Reset Network Settings. Enter your passcode at the prompt and tap ‘Reset Network Settings’. This is the last resort. It will be necessary only if none of the above methods works and it usually means the problem is not at your end but theirs. Getting in contact with them is the fastest way to resolve the issue in this case.